Fire Marshal’s Update – July 2018 | F.F.A.M. God Bless America, land that I love, Stand beside her and guide her through the night with the light from above, From the mountains to the prairies, to the oceans white with foam, God Bless America, my home sweet home, God Bless America my home sweet home! I don’t ever want to lose sight of how great my nation is! 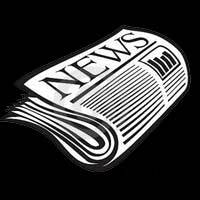 Several things have transpired here in Jefferson City since the last newsletter. First of all I have a new boss, Governor Mike Parson, and a new Lieutenant Governor Mike Kehoe. I have had several question my status as your state fire marshal. 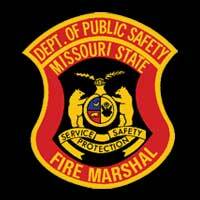 Governor Parson has communicated that I will continue serving as your State Fire Marshal. I am pleased with that decision, and look forward to continuing to serve you, and work alongside Governor Parson. A new budget was signed on June 30, for 2018-2019. We are pleased with this year’s budget and appreciate the support of the House and Senate to the division. Some of the highlights of the budget, pay raises for the facilities inspectors, along with the fire investigators. 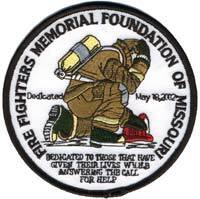 The firefighter training and education fund was fully funded. On a sour note, the workman compensation bill was not funded this year. We will pursue getting it funded next year for you. The Education Commission met and awarded contacts to several of our training partners, so training should be coming to you for free! I would ask you to contact your State Representative and Senator and thank them for funding this for you! While on the topic of training, Deputy Chief Trapani informed me that this year will be a record year for firefighters obtaining State Certification. Her unit is estimating nearly 5,000 state certifications will be obtained, equating to nearly 4,000 individual certifications. I feel this proves the Missouri fire service believes in being educated about their job as a firefighter. This training helps us make better decisions, which allows us to better serve our customer. The best part I appreciate, we become safer, which allows us to go home to our families and friends! Way to go everyone, and thank you to all of our training division team for working so hard to make this happen. 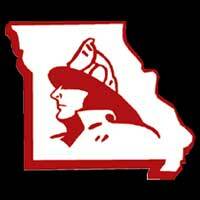 We will be introducing legislation again this year on setting the definition of what a Missouri Firefighter should be. If you have comments or concerns on this please reach out to me. We will be pursuing the cancer legislation again this legislative session. If you have any legislative issues we can help you with, contact us please. Here is a positive update from the Red Cross. Over the last 365 days there has been 12,380 smoke alarms installed in our state. It is working folks. We have had 15 more fire departments join the program to help SOUND THE ALARM. Keep up the excellent work with this program, and if you are not part of it, you should be! We are at 52 fire deaths so far this year, and not one working smoke alarm! We have a job to do out here in our state. Thanks for all each of you do across our great state, I appreciate you. If there is anything I or the division can do for you call us. 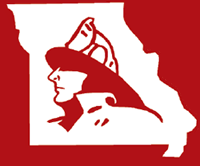 If you have an event you would like me to attend get with me, I enjoy visiting our Missouri fire service.